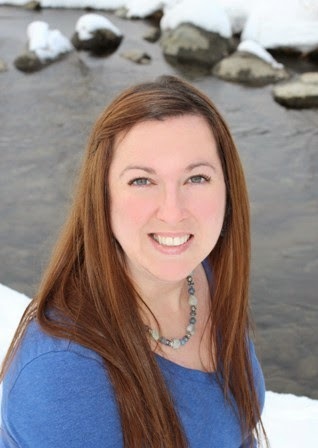 Author Jen Cudmore visits with news of her Goodreads Giveaway. Enter at the link below, but you better hurry - the drawing ends on March 30th! At some point, someone has probably thought they knew how to handle a situation better than you. What's worse is when you're in charge of a project or situation, and the other person decides to insert themselves without your approval. And they just can't take the hint (or the demand!) to leave you alone. 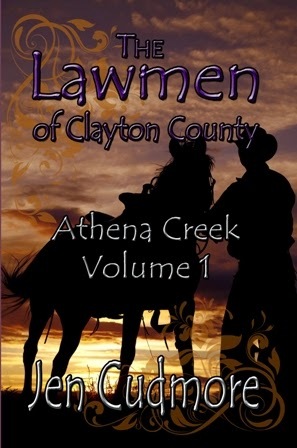 My first historical novel, The Lawmen of Clayton County: Athena Creek, is about the new marshal of a small town in the Pacific Northwest. He's only on the job three months when he realizes the man who hired him expects full loyalty. And obedience. Trace Ingram is the stereo-typical cowboy, the kind you'll find in pretty much every Louis L'Amour book. He's been a lawman before, and doesn't need any advice. And yet Charles McCrae, the man who founded the town and hired Trace, makes it plain that if Trace won't follow orders, then he's welcome to leave. Ever been told by your boss that if you don't do something a specific way, you can find a new job? Trace knows Athena Creek is where he belongs. It doesn't take long for him to see the entire town is loyal to McCrae. So it comes down to a choice: Does Trace uphold the law as he sees fit, or does he let McCrae have his way? The answer is easy at first. Then Trace begins to investigate three strange murders, all of which point to McCrae as the prime suspect. If Trace isn't careful, he'll be out of a job. Or worse yet, he could wind up dead. Jen was born and raised in the Pacific Northwest. 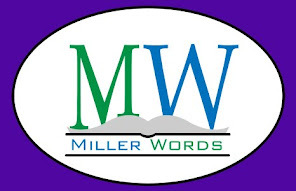 She first started writing in 2007 and is now a published historical romance author. She currently lives in Alaska with her husband, two children, two boxers, and two cats. She's also on Facebook,Twitter, Pinterest, and Goodreads. The event, scheduled from 11 a.m. to 2 p.m., will be the first time the group has held an event at Long and Scott’s Farm at 26216 County Road 448A, Mount Dora, Miller said. Spring into Art will feature over twenty authors and artists. A wide variety of books will be for sale in all genres and ages, as well as exclusive artwork. Some of the paintings are slated to be sold for charity. The outdoor event is free to attend, Miller pointed out. Authors and artists alike will be available to discuss their writing, sign autographs and enjoy a day on the farm. Some author proceeds will be donated to Team Jay and other worthy organizations, he said. Scott’s Country Café will be open for lunch.